I am a qualified barber/hairdresser and lecturer at Cardiff and Vale College. 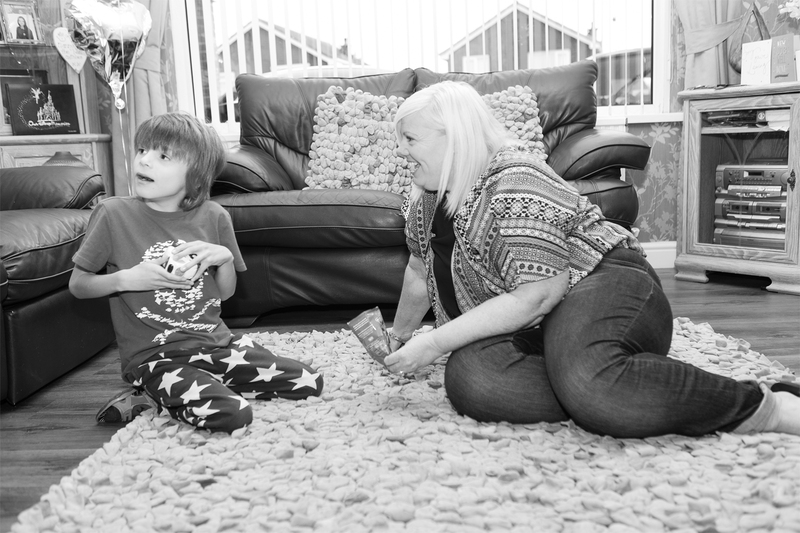 I also specialise in working with people with additional needs. Hi my name is Helen Williams and welcome to my website. I’m very excited about the work that I’m doing and I hope both you and your child will become a part of my experience. I have over ten years of experience in the hairdressing and barbering industry and have been lecturing at Cardiff and Vale College for over seven years. I am proud of my position there as I have had the pleasure of working with learners with additional needs, including learners with autism. I am aware of how challenging a haircut can be for both parent and client. I offer my unique service to all ages and in the comfort of your own home. Throughout my career I have heard shocking stories of parents finding it increasingly difficult to find a barber or hairdresser to cut their child’s hair, as one mother of a child whose hair I recently cut said she had been to three barbers who had refused to cut his hair because of his additional needs. I am proud to offer a service whereby my clients not only gets a professional haircut but do so in a non hostile environment. By coming to you and the safe sanctuary of your home I take time and employ techniques I use in my daily work as a lecturer to bond with my clients and put him/her at ease. I am very passionate about my work with learners with additional needs and the empathy I have with them is key in the interaction. Not only does this relax my client and make the experience a more pleasurable one but will be remembered by them, therefore making subsequent haircuts a routine. My expertise with autistic clients has made me aware of how difficult a haircut can be for them. So for this I use sensory scissors which reduce sensory overload, especially around the ears. I hope you agree that I am offering a unique and caring service. Fill out a form and I’ll get back to you as soon as I can, thank you. I use sensory scissors and clippers to ensure your child is comfortable, these make less sound and adapt perfectly to children that do a lot of wriggling when they’re getting their haircut.